Mr. Beyer, what’s the story behind the formation of the Babelsberg Film Orchestra? Was there a certain impetus or motivation that played an important role there? The motivation was historical. In Babelsberg, since 1918, there was a film orchestra that was founded and run by UFA, or “Universum Film AG”. This first step in its development continued until the end of the war [World War II]. After the war, the facility was taken over by DEFA, or “Deutsche Film AG”, which continued to produce films for as long as there was RDJ, and became an intergral part of the studio under the name of the DEFA Symphony Orchestra. 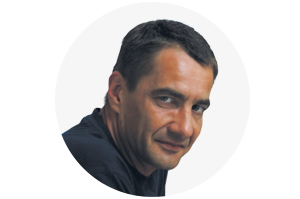 Then in the early 1990s there was an individual named Beyer, a musician who thanks to his involvement in the establishment of a music workers’ union in East Germany gained a different perspective on his profession. I then asked to quit and continue working in the form of an independent group. Because the DEFA musicians also quit, I invited them to join me and that’s how the film-music-oriented orchestra came about. So you could say that the Babelsberg Film Orchestra was born out of the UFA Orchestra and the DEFA Symphony Orchestra. This is also well-suited to the theme “Metropolis”. 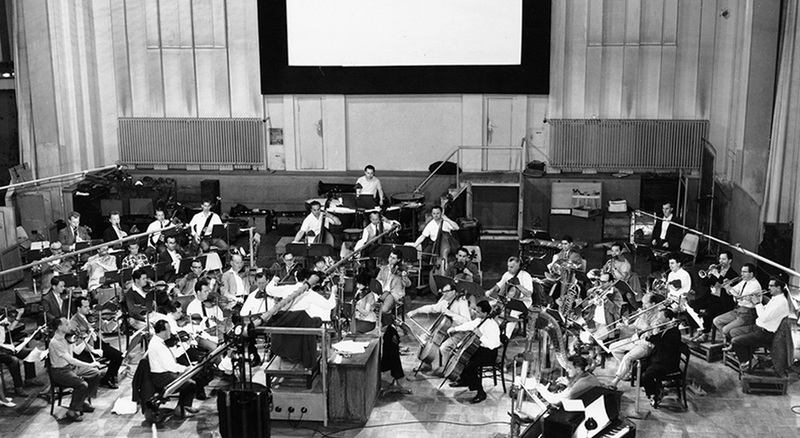 I think people see our orchestra today as a continuation of the orchestras that came before it – and in that way also as an incarnation of the UFA orchestra that long ago played at the premiere of “Metropolis”, and accompanied the film during its first season in the public cinemas of Berlin. In your opinion, what is the historical role of the film ‘Metropolis’? In my personal opinion, this is one of the first examples of its kind in film history, which later became the standard. This was a collaboration between a director by the name of Lang and a composer named Hupertz. Lang always chose Hupertz as his composer. Hupertz was often asked to show up on set in order to appreciate the story of the film. This working method was applied for a long time and is sometimes even used today. A famous example in modern times is the partnership between John Williams and Steven Spielberg. It also needs to be mentioned that this film, as one of the first in the genre of science fiction, became the inspiration for many films that came long after it, such as “Blade Runner” and others. “Metropolis” depicted sociological problems that we face in all of the developed world, namely a vision of a metropolitan city that is always growing. An example is Gotham City in the Batman film trilogy directed by Christopher Nolan: What we see here is a continuation of the depiction of “Metropolis” in a modern way. Gotham City is basically a kind of Metropolis. From the perspective of film history, “Metropolis” was indeed the most spectacular film ever made in Europe at that time. The film has a special quality that even today is still seen as quite innovative, for example in terms of photography or its use of animation techniques, which at that time were still new. There is one well-known scene that shows a female android turning into Maria. You could say that this scene contributed to the historic meaning of the film. Aside from this there are several other things worth pointing out, such as that the original duration of the film goes far beyond three hours, and because of this later there was an effort to trim it back to something more concise. Another interesting aspect from the perspective of film history is that Fritz Lang together with two other well-known directors of the time, Simona and Pabst, formed an association that asked for the film to be given its own music score. At that time it was still the custom to play classical music, or even pop songs, in place of a film soundtrack. The music was chosen at random, so it did not give the dramatic effect that we know from film music today. This is what we see in “Metropolis”. What are your hopes for the performance in Indonesia? We have travelled quite a lot, in Europe of course and also in America. But we have stayed in the “European” environment, even in America. That’s why it was very interesting for us to be invited to India by the Goethe-Institut a few years ago. We travelled around with a well-known film music composer from India, A.R. Rahman, who also composed the music for the film “Slumdog Millionaire”. We were the first to play his music in a European format, in the form of an orchestra. People’s responses turned out to be quite varied. There were many moments on that trip that still echo with me to this day. Because that was a very important trip for me. Without that experience, there was a feeling as if something was incomplete. And the city of Calcutta left a very deep impression. Sadly, I don’t know very much about Indonesia, because I have not travelled all that much in my life. Even on holiday, I have never flown for more than two hours. So I, as most of the members of the Babelsberg Orchestra, have never visited Indonesia before. The most interesting thing for me is: What is the public like in Indonesia? How will our music be received? How is European music in general perceived? Are the Indonesian public emotional, and do they show it? These are some of the questions that I’ve been thinking about and are interesting to me. I think we’ll just wait and see. That’s the best way to do things in this life. What do you think will be the biggest challenge here? Before the performance there is a ritual and a certain anticipation about the local situation, for example, with regard to the concert room and the changing room. This has quite a lot of influence on the members of the orchestra. There’s always an element of suspense. I imagine there will be many things that may create stress for the musicians, bearing in mind that they are not as flexible as individual tourists. The problem of the climate will surely become a challenge in itself. We know from experience that European musical instruments are not designed to withstand a climate like this. Another question is whether the supporting technology will be functioning well, whether the domestic flights are running on time, and whether the connecting transport for the instruments goes according to plan. So there are sure to be a number of challenges. But if the country itself is okay, the other things won’t be a problem. The interview was conducted by Annette Oefner.